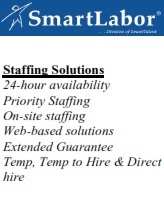 John Janson is the Director of Global Logistics for SanMar. John is experienced and knowledgeable with all aspects of global transportation, distribution, and logistics. SanMar is an award-winning supplier of apparel & accessories. Founded in the beautiful Pacific Northwest, SanMar has passionately & successfully served the imprinted sportswear market for 45+ years. John has 20+ years of experience piloting global logistics for industry leading companies including, MWI Animal Health/AmerisourceBergen, Bodybuilding.com, Micron and Micron PC. He is known to be a results driven executive, who invests in his team with strong relationship and team building skills. John’s ability to operate both strategically & tactically across multiple facets of company operations has made a difference with customers domestically & internationally. His career has given him quality, experienced knowledge of all aspects of global transportation, distribution & logistics. He is a graduate from Boise State University and has been married to his wife, Susan, for 37 years with 2 daughters & 3 grandchildren. Thank you to all who contributed door prizes at our last meeting! All proceeds go toward TCT’s Scholarship Program. September 9th: Allen Clifford, MSC Mediterranean Shipping Co.
TCT’s April meeting is in coordination with the Transportation Club of Seattle and hosted by them at the Rainier Golf & Country Club. commercial air service, and affordable industrial and commercial properties. 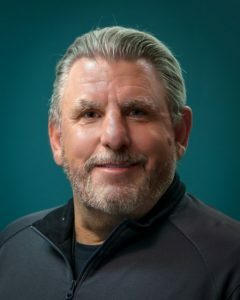 John J. Felitto is Senior Vice President of WWL Vehicle Services Americas based in Parsippany, New Jersey since 2011. For the past seven years, Mr. Felitto has been responsible for all aspects of VSA’s processing and logistics operations in the USA, Mexico and Canada. Today, VSA employs 5,500 people at 31 locations handling over 6 million vehicles annually. Mr. Felitto joined Wallenius Wilhelmsen in 2001 and for the past eighteen years has held various key commercial and executive management roles in sales and logistics. Mr. Felitto is a graduate of Pace University in New York, and has over twenty-seven years of experience in the logistics industry. 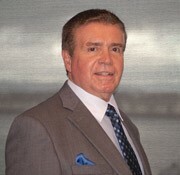 His professional background includes management positions with Hapag-Lloyd, Crowley American Transport and Hamburg Sud. 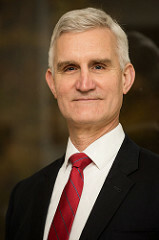 He is also the Past President of the National Freight Transportation Association; an organization comprised of the top executives of the North American Transportation Industry. John resides in New Jersey and is married with two children. Further information about Wallenius Wilhemsen Logistics and their new auto processing facility in Tacoma. Our annual Mary Bridge Children’s Hospital drive is this month! Items needed are non-latex bandages, movies, fine point markers, Play-Doh, card games and more to our luncheon event. Please bring All items must be new non-toxic and free of sharp objects or pieces. More information available here. If you have any questions or need to have items shipped elsewhere or picked up, please contact Stephanie Ticknor at VicePresident1@tctacoma.org. Thank you ahead of time for your donations! Unfortunately due to the 1st round of storms on Friday and the possibility of another storm or two, we have to cancel the TCT luncheon on February 11th, 2019. We are working with EQC on re-scheduling this luncheon for the next couple of weeks. If we end up cancelling this months meeting, we will issue refunds for the luncheon or apply to next months luncheon if you wish. Mike Fowler serves as Senior Trade Consultant at the World Trade Center Tacoma. Mike is fluent in Chinese and Japanese and has extensive experience as a consultant assisting US firms access Asian markets. 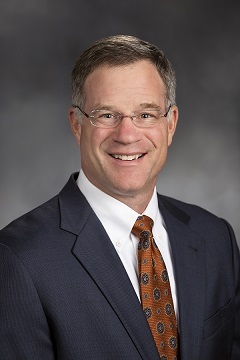 Chair Emeritus of the Pacific Northwest International Trade Alliance, he currently serves on the Board of Directors of World Affairs Council in Tacoma. A former Senior Editor of Business Tokyo magazine, Mike holds a Master of Arts in International Relations from Sophia University Graduate School of Comparative Culture in Tokyo and a Bachelor of Arts in Chinese from the University of Hawaii at Manoa. Mr. Fowler will cover topics related to China trade and the WTC Tacoma’s new Export Store. The Export Store is a Business-to-Business Cross-Border e-commerce store, a partnership between WTC Tacoma and Alibaba. With the services provided by Alibaba, businesses can now easily export their products! Mr. Garcia has been involved in the logistics industry for about 25 years. He has held various positions in transportation and logistic management and has played prominent roles in several trade and community organizations. Prior to co-founding GSC Logistics in 1988, Mr. Garcia was General Manager for Distribution Consultants and then served as General Manager of Transportation for Distribution Centers, Inc. He was then Managing General Partner for Western Distribution Centers. In 1989, he was a founder of Gold Star Distribution, which eventually became GSC Logistics. 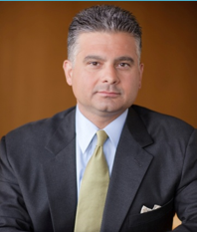 Since 1989, Mr. Garcia has served as chairman of the board and has been instrumental in expanding GSC Logistics in both the Bay Area and Pacific Northwest. Mr. Garcia has been president of the Distribution Managers Association of northern California, president of the Hispanics Lyons Club of San Francisco and co-chair of the Port of Oakland’s Maritime Air Quality Improvement Plan. He is a graduate of California State University in Hayward. Ten years ago, Dwight Smith was starting his Costco career by pushing carts and boxing orders at the cash registers. He currently holds the position of International Export Logistics Buyer. 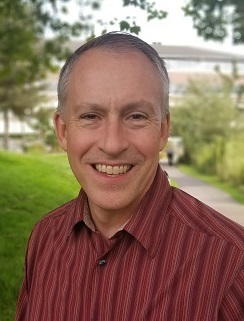 His job involves supporting US exports to Costco’s overseas regions in Asia, Australia, Europe, and Iceland, representing these same regions in freight service negotiations, and serving as the primary logistics liaison for these regions within Costco’s Home Office. He holds a BA in Theatre from UCLA and an MFA in Acting from the University of Washington. Prior to Costco, he served as a pastor for 17 years. Dwight and his wife, Carla, make their home in Snoqualmie, WA. They have two children currently in college at Western Washington University. ELECTIVE OFFICE: Elected as the Executive of Pierce County in November of 2016. EDUCATION: University of Washington – M.S., engineering; U.S. Naval Academy – B.S. in Ocean Engineering. COMMUNITY INVOLVEMENT: Member, Young Life; member, Mel Korum YMCA Advisory Council; member, Tacoma #8 Rotary Club; member, Tacoma Goodwill Board of Directors; member, Lighthouse Christian Church; member, University of Washington – Tacoma Advisory Board. PERSONAL: A Pierce County native, Executive Dammeier attended Curtis High School before going on to graduate with distinction from the U.S. Naval Academy and serve eight years as a Civil Engineer Corps Officer. While on active duty, he was deployed on humanitarian relief missions in the United States and across the world. At the conclusion of his military service, he returned to Washington State and became a dedicated community volunteer. Bruce and Lauren, his wife of more than 30 years, live in Puyallup. They have three grown sons and one grandchild.